Kiss My Smash: Who Needs Home Ec? All over Pinterest there are an astounding number of tips for the home. Seeing as how I never took a Home Ec class I am usually very intrigued in these tips. I saw this tip and definitely wanted to give it a try. Who needs Home Ec when we have Pinterest? 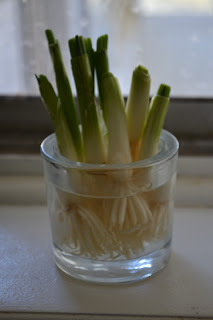 The tip was simple, if you cut off the white ends of scallions or green onions and stick them in a cup of water. 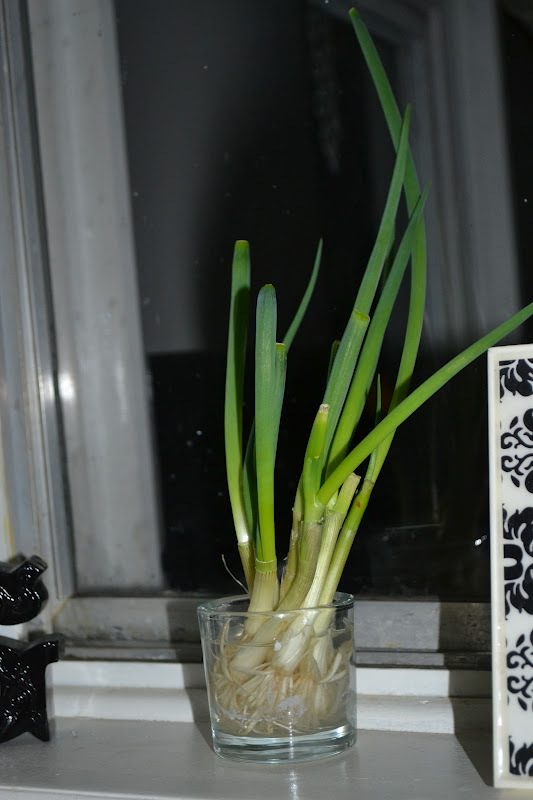 If this is placed in a sunny window the onions will grow. I'd love to have a non stop supply of onions. The cheap girl in me was thrilled that we would only have to buy green onions once and have a never ending supply. Guess what? It works! See for yourself. 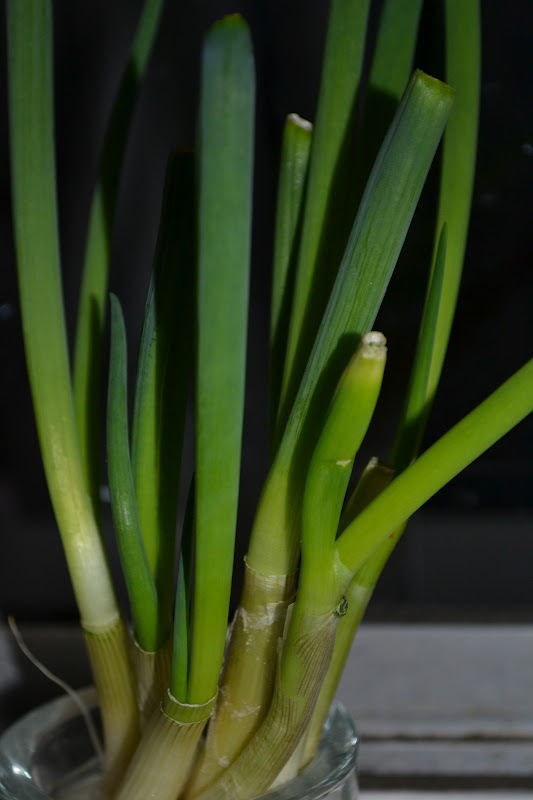 The first set of photos were 2 or 3 days after the initial experiment. The final photos are about 2 weeks later. They grew fast! But I beg you - do not judge me for the dirty windows. I'm mortified. As soon as I saw the photos on my computer I cleaned them. I guess I should have redone the photo shoot. But when I started this blog I vowed to show my true self, dirty windows and all. Hopefully I've learned my lesson.